As I mentioned on the green chilli sauce recipe yesterday, I fancied making something with avocado and butternut squash to offset the heat of the sauce, but also complement the lime and spice flavours. Happily, taco shells were on special offer at the supermarket and a tex mex style dish seemed perfect! The sauce for the beans and vegetables is very similar to our BB dressing here, it’s sweet and smoky and perfect with a hot sauce. This is the first time I’ve tried sauteeing the spring onions for guacamole, I really like the result and will be doing it again! To make the guacamole, heat the oil in a pan and saute the spring onions on a high heat for 4 minutes, until softened and starting to caramelise. Remove from the pan and cool a little. Cut the avocado in half and remove the stone. Scoop the flesh into a small bowl. Add the lime juice, salt, oregano and cumin and mash together with a fork. Stir in the spring onions. Add the rest of the oil to the pan, on a medium heat. Fry the courgette until softened and nicely browned, about 8 minutes and then remove from the pan. Still on a medium heat, add all the sauce ingredients and bubble them together for 2 minutes. 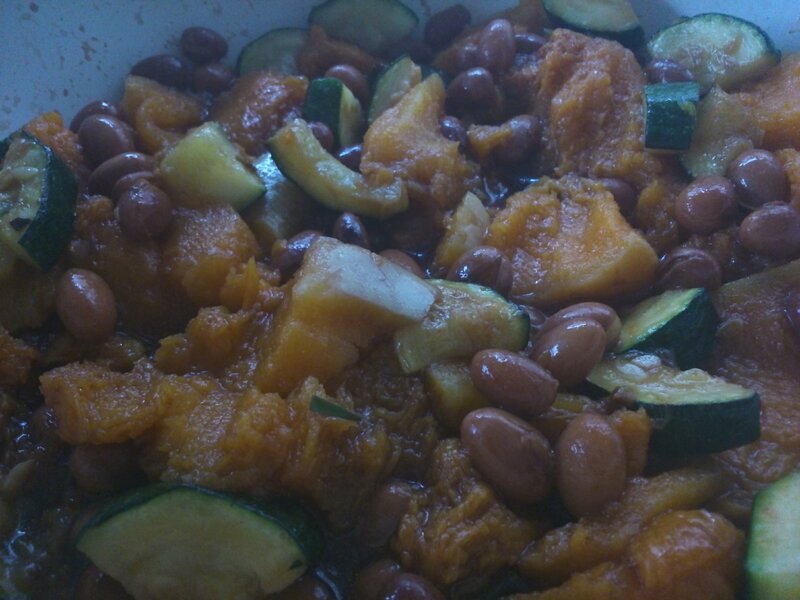 Tip in the beans, butternut squash and courgette and mix well. Simmer the beans and vegetables for 10 minutes to allow the sauce to reduce a little. 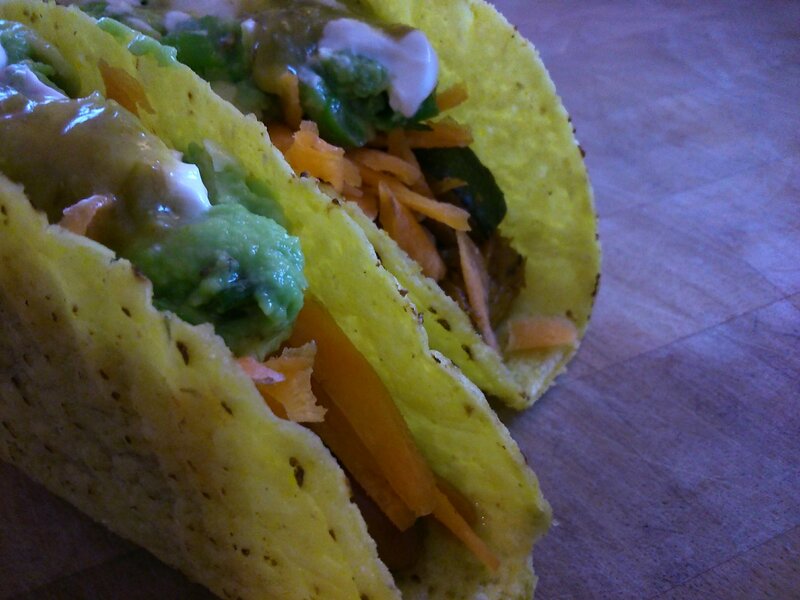 For each taco, put a couple of spoonfuls of beans in the bottom of the taco, then some grated carrot, a tbsp of guacamole, and half a tsp each of vegan sour cream and green chilli sauce.